To find ratings, more things to do, photos, and tourist information, read our Jaco travel itinerary creator. Newark, USA to Jaco is an approximately 10-hour flight. Traveling from Newark to Jaco, you'll gain 1 hour due to the time zone difference. Finish your sightseeing early on the 27th (Fri) so you can drive to Manuel Antonio. On the 27th (Fri), look for gifts at Beso Loco Boutique de Playa and then tour the pleasant surroundings at Playa Manuel Antonio. To find other places to visit, reviews, where to stay, and tourist information, read our Manuel Antonio trip planner. Traveling by car from Jaco to Manuel Antonio takes 1.5 hours. Alternatively, you can ride a ferry; or take a bus. In October, daily temperatures in Manuel Antonio can reach 79°F, while at night they dip to 66°F. Cap off your sightseeing on the 27th (Fri) early enough to travel to San Jose. On the 28th (Sat), explore the world behind art at Precolumbian Gold Museum, take an in-depth tour of National Museum (Museo Nacional), then get engrossed in the history at Jade Museum, and finally take in the exciting artwork at Galeria Namu. For reviews, maps, photos, and tourist information, use the San Jose trip itinerary planner. You can do a combination of taxi and flight from Manuel Antonio to San Jose in 1.5 hours. Alternatively, you can take a bus; or drive. In October, daily temperatures in San Jose can reach 79°F, while at night they dip to 66°F. Wrap up your sightseeing on the 29th (Sun) early enough to travel to La Fortuna de San Carlos. Kick off your visit on the 29th (Sun): take in the dramatic scenery at La Fortuna Waterfall, then let the river carry you with a rafting and tubing tour, and then take in the exciting artwork at Onirica Art Gallery. 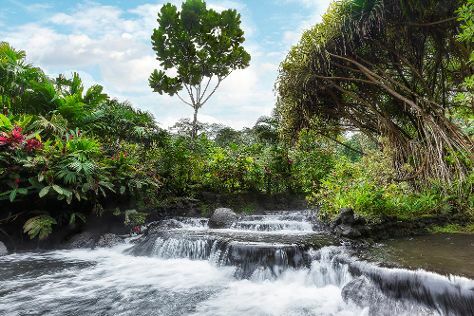 Keep things going the next day: relax and rejuvenate at Tabacon Hot Springs and then trek along Arenal Natura Ecological Park. To find traveler tips, maps, other places to visit, and more tourist information, read our La Fortuna de San Carlos trip planner. You can do a combination of flight and taxi from San Jose to La Fortuna de San Carlos in 2 hours. Alternatively, you can take a shuttle; or drive. On the 31st (Tue), you're off tohome.